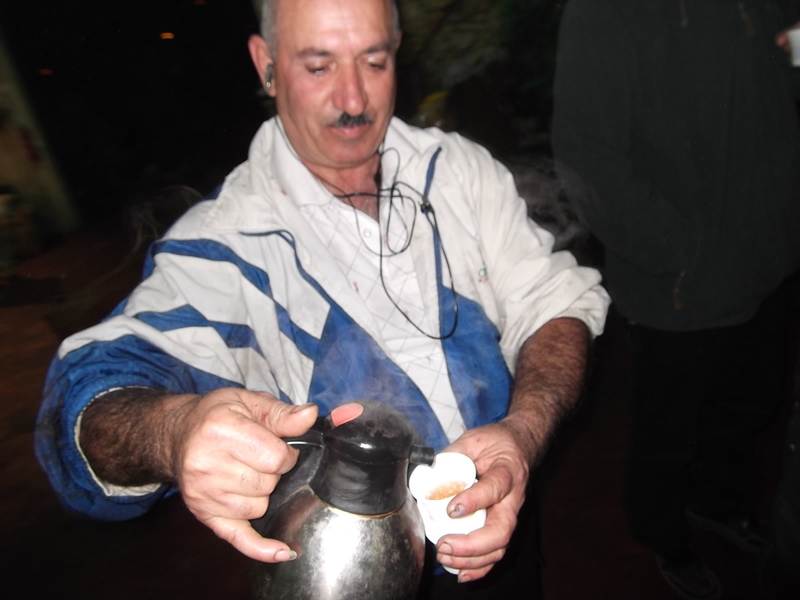 Yesterday evening we went to the Druze olive press – bet baad in Hebrew – in the ancient village of Pekiin. I had called ahead to check to make sure they were open and crushing olives – they were. 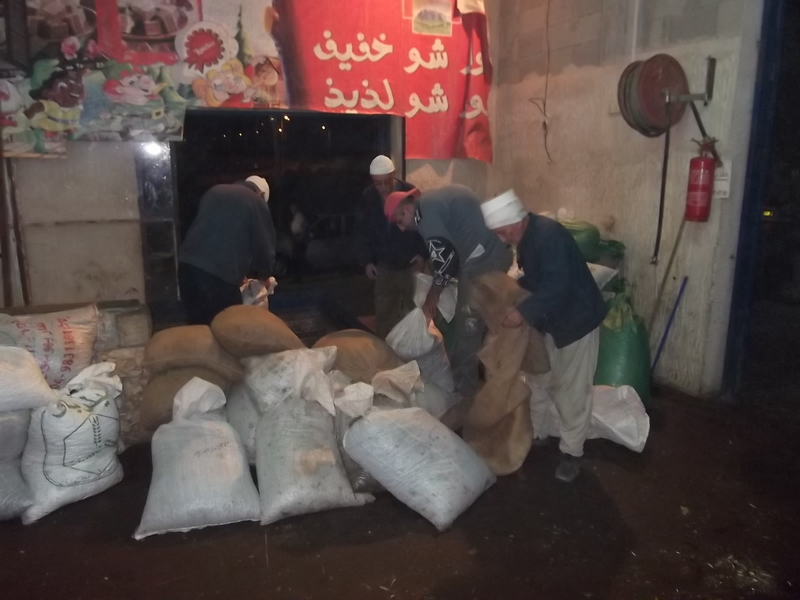 When we got there, just a short drive from Ma’alot, there were Druze abound with hundreds of kilos of olives in large sacks. I had brought along the small box of olives I had picked from the trees in our backyard and set my stock down on a small stool. As we watched the numerous Druzi men unloading the sacks of olives into the hopper on the floor we were deafened by the din of the harvest in full-swing. The olives piled high waiting for the first machine to be turned on. 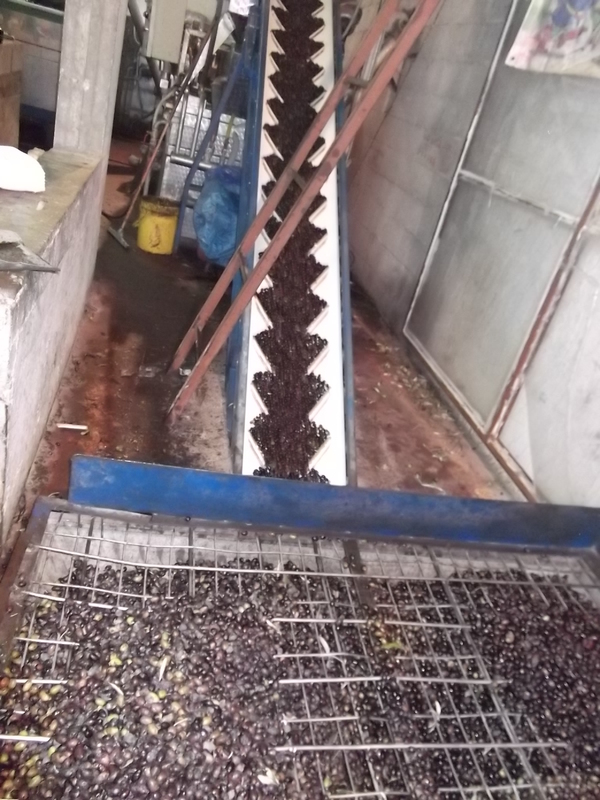 Once on, the olives are lifted up on a conveyor belt and are cleaned in the washing machine. 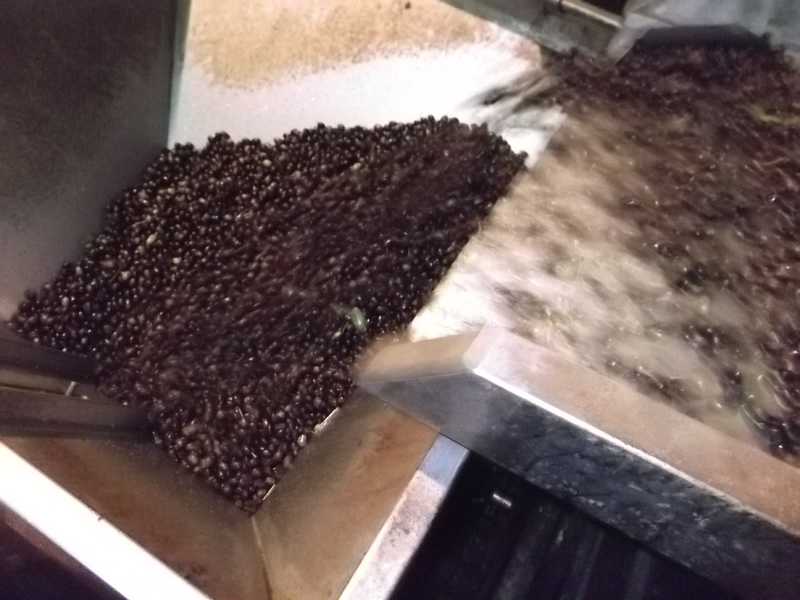 Nice and clean, the olives are then taken into the crusher where they are churned within a great rectangular machine. 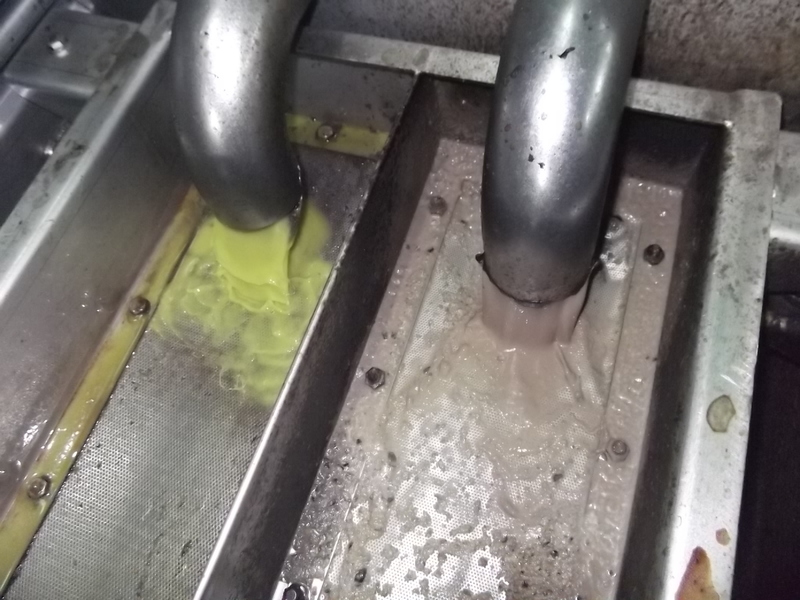 The olive pulp is separated for other uses and the watery oil is transferred into the next machine where the pure olive oil is skimmed off. The water goes one way and the oil goes to the next stage – filtration. 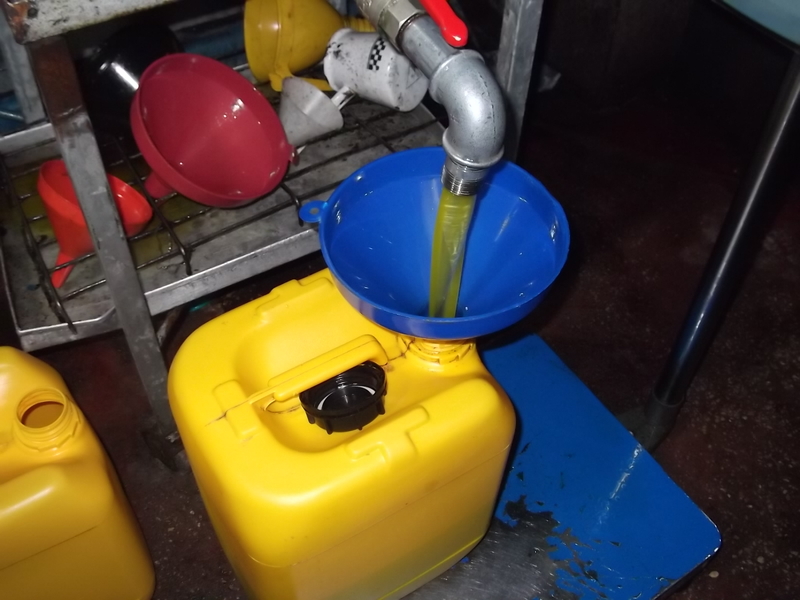 The pure, golden-green olive oil is then dispensed through large vats into the waiting oil canisters and jerry-cans. 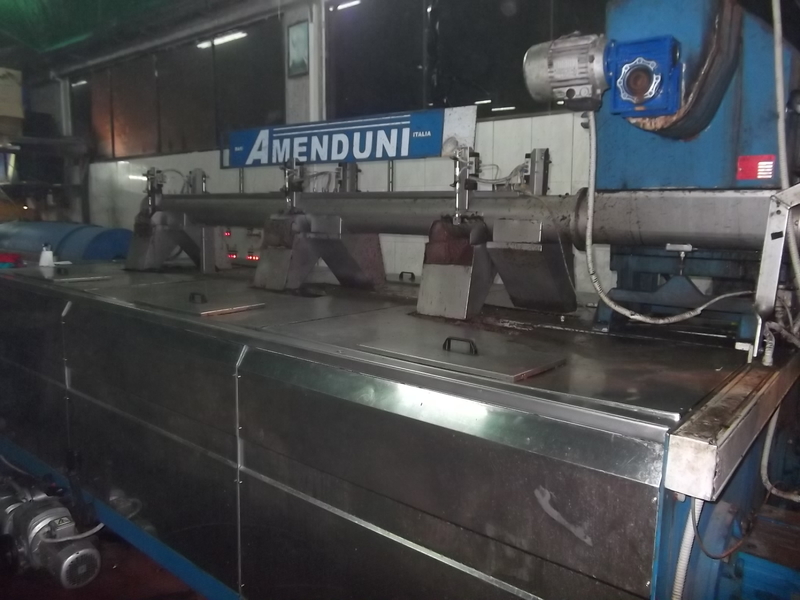 The full containers are then put on a scale for weighing and are then carted off – ten percent of olive oil going to the bet baad’s owner. 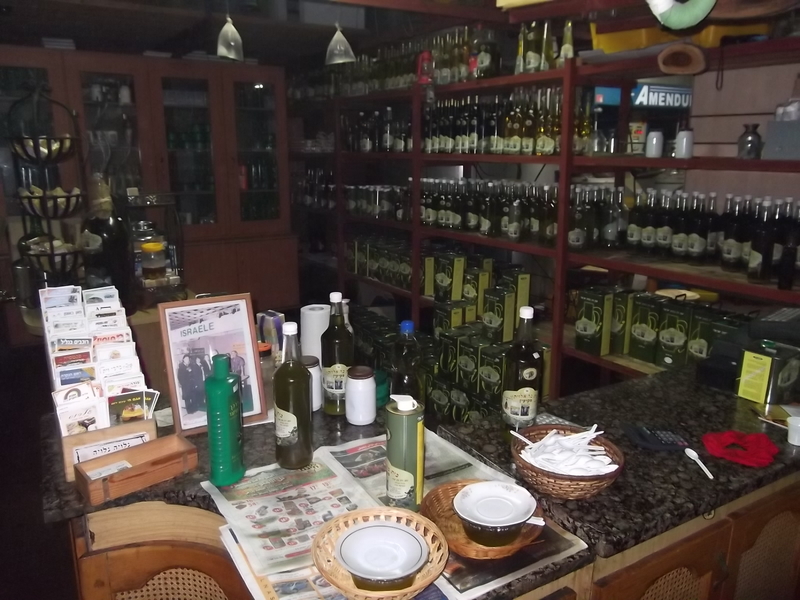 The small store set up within the warehouse had special tasting for the oils freshly pressed and of course, bottled oils of all varieties and qualities – all local stock. 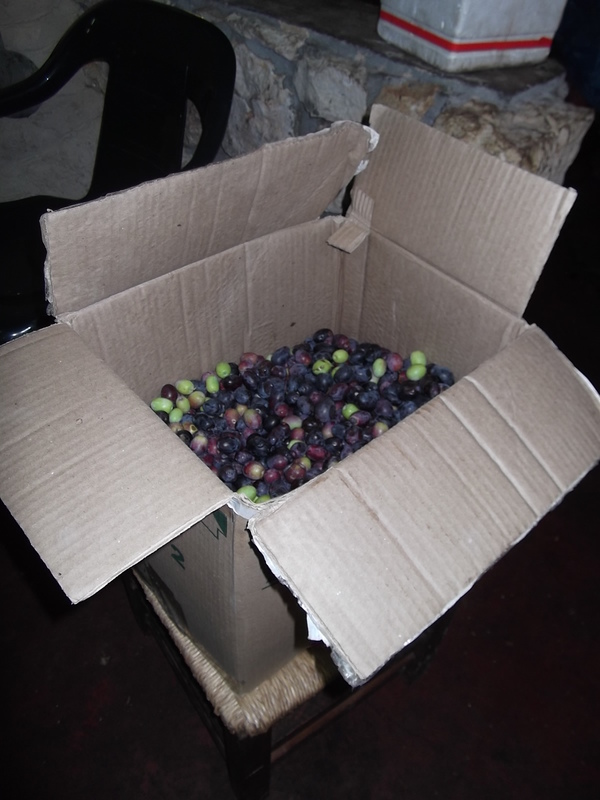 Before we left, another huge load of olives came – a long night of olive pressing for those guys! 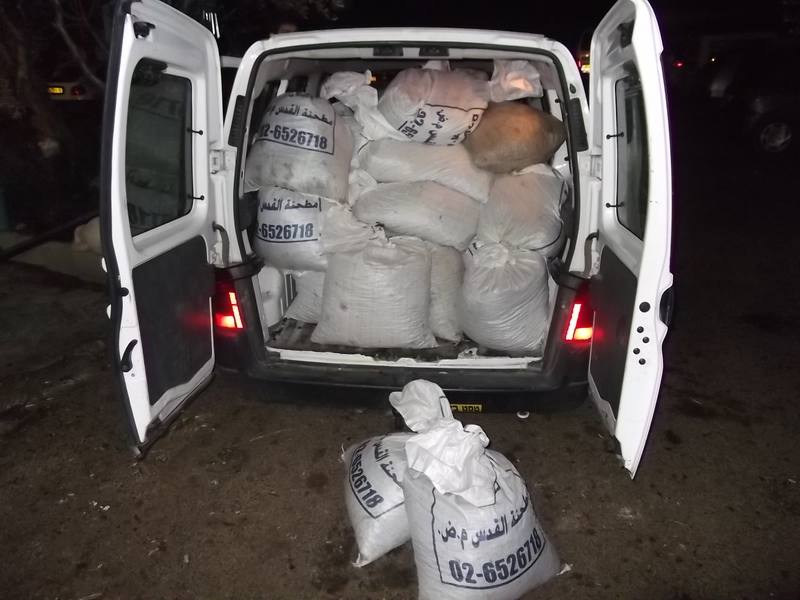 Another van stuffed with olives! 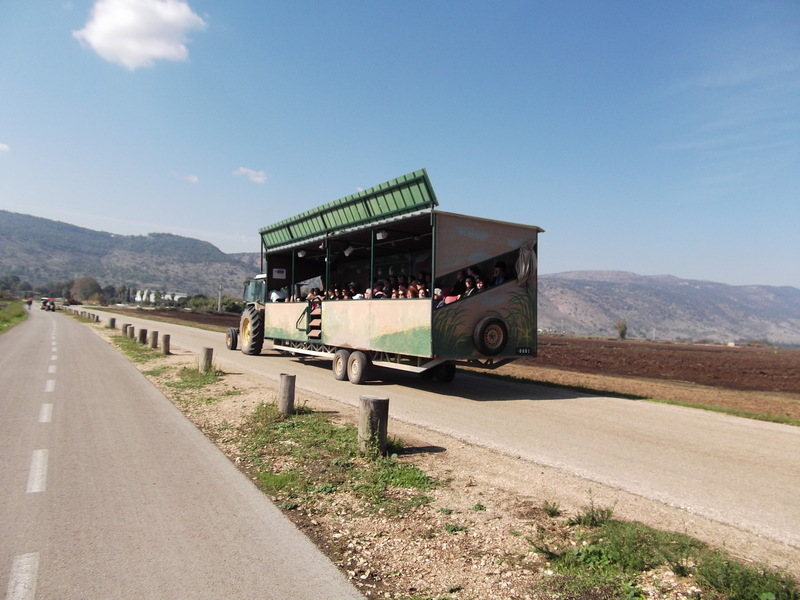 Yesterday we took a trip to the Hula Valley – a large, flat, marsh-like area between the Naftali Mountains which borders Lebanon to the west and the mountains of the Golan which borders Syria to the east. Every year an astonishing number of 500 million birds migrate through the valley, an equally astonishing 390 different species. The migration has turned the Hula Valley into a bit of an international event, especially among avid bird-watchers. Tourists come and pay nearly $2,000 to attend a week long event including bird-watching, night-time bird-watching, scientific conferences and bird ringing. 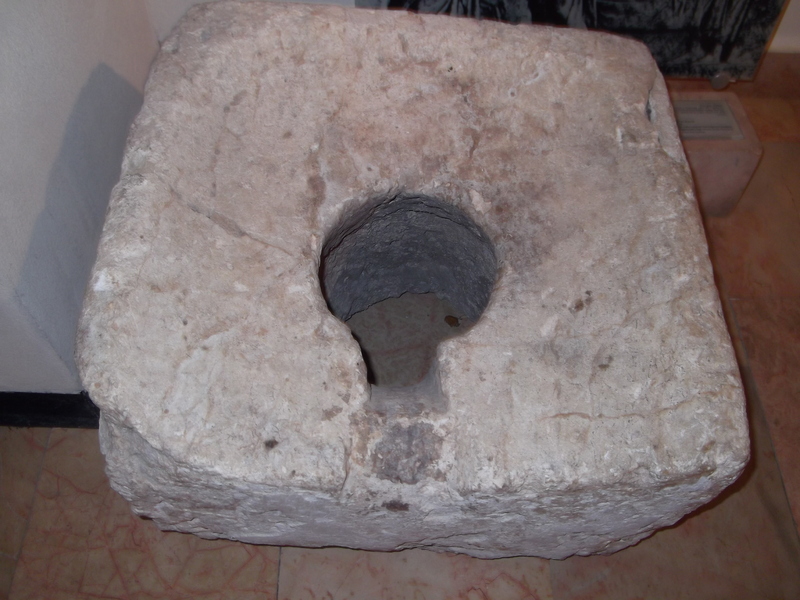 For the locals there is just a 3 shekel entrance fee. 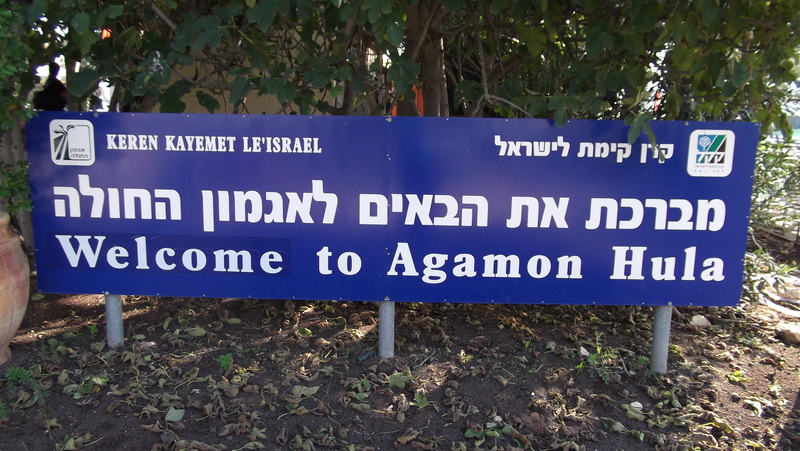 We walked towards the Agmon Lake at first, crossing the Jordan River which has been reconstructed as of late. In the 1930s the Hula Valley was a malaria-ridden patch of land filled with birds and water buffalo. Eventually the land was drained and canals were dug to contain and control the waters, especially the abundance of melted snow that runs down Mount Hermon in the spring. 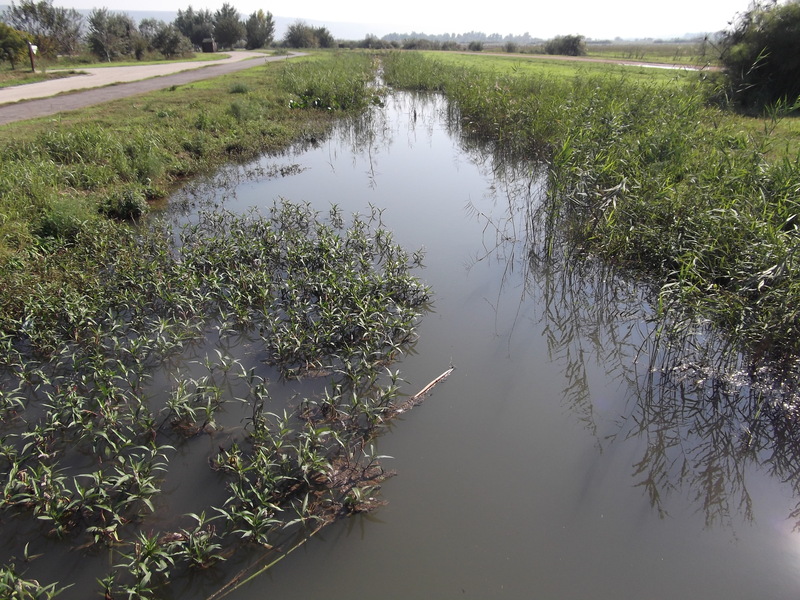 Today the land is nice and fertile with water reservoirs and several small lakes which are more than enough for the migrating birds and to support the agriculture of the Hula Valley. 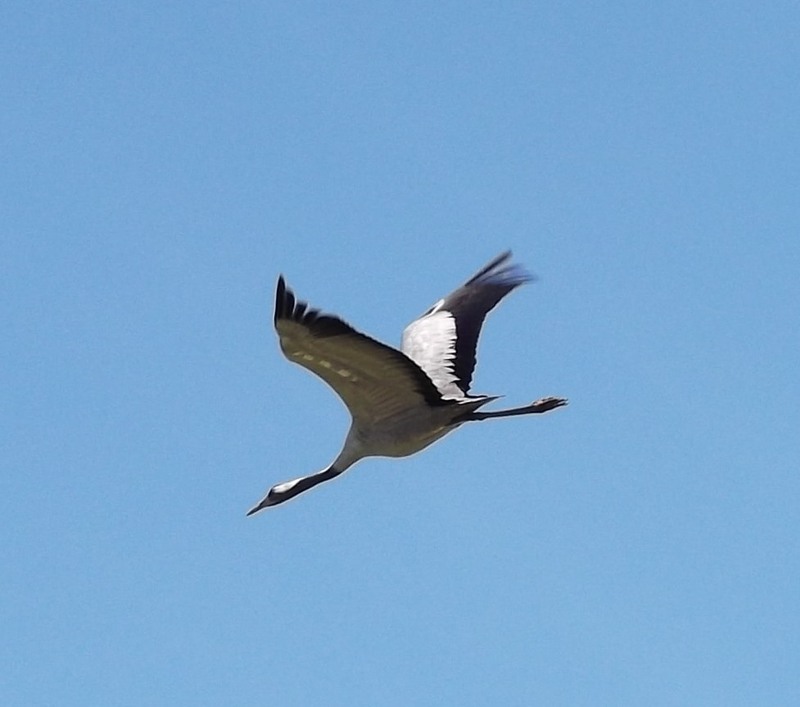 The chief migrating bird is the common or Eurasian crane. 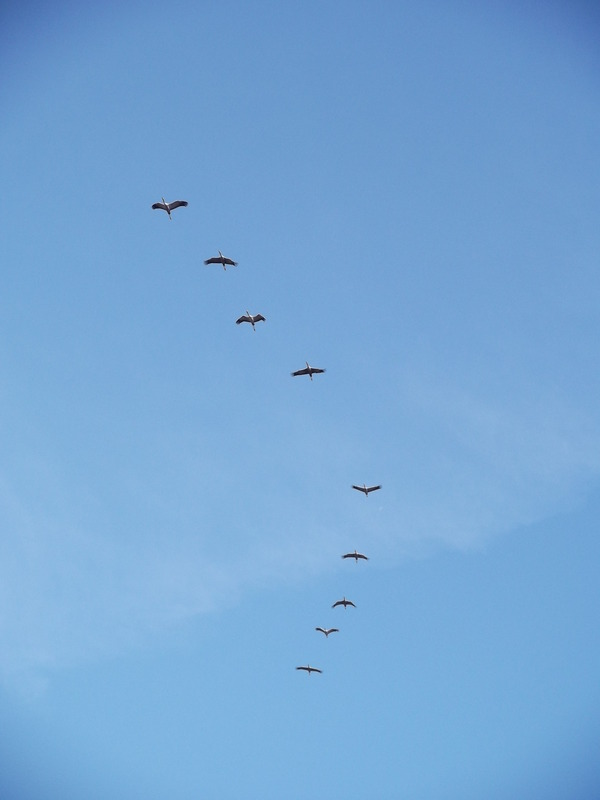 100,000 cranes fly every year from Russia headed down to Africa to spend the winter. 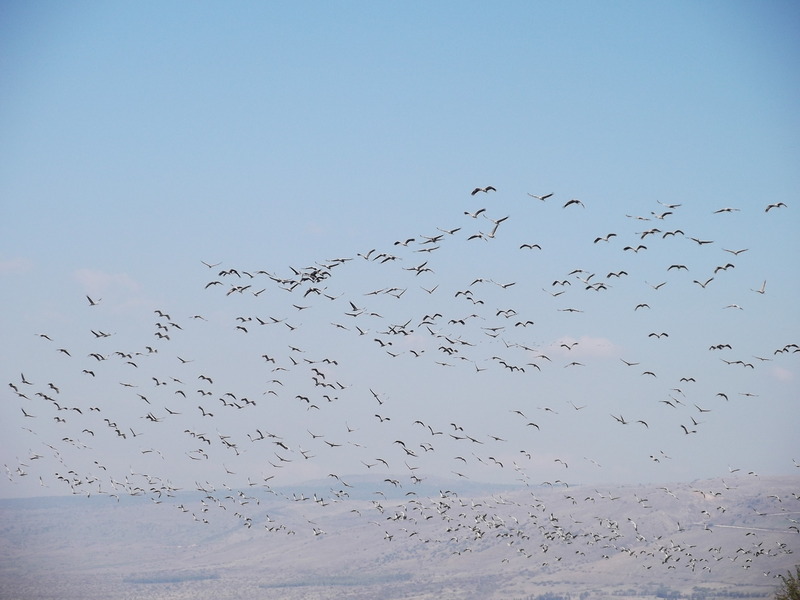 However, a quarter of these cranes winter in the Hula Valley and are thus a threat to the crops so food is supplied to them costing about 2 million shekels per year. The 3 shekels paid at the park’s entrance helps lighten the burden of the feeding costs. These cranes are both huge and noisy and fill the air with loud honks and hoots. Other bird species include herons, ibises, raptors such as eagles, kestrels and harriers, ducks, pelicans, storks and hundreds of other waterfowl. But it is not only the birds that populate the valley. There are nutrias and water buffalo and both live in and around the marsh. 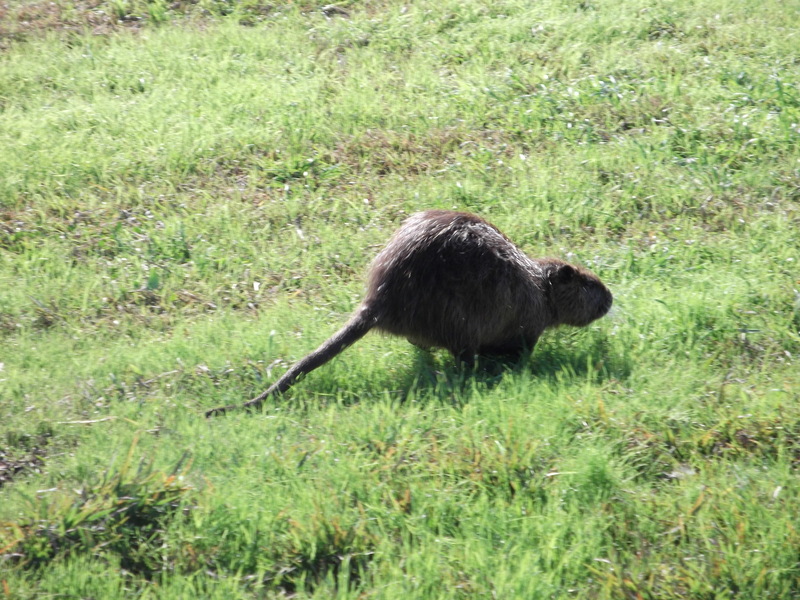 The nutrias were introduced from South America in attempts to raise a pelt business but the furs were not so needed in Israel due to the mild Mediterranean climate. They were let loose and now live in the rivers and canals of Northern Israel. The water buffalo were native to the land and were often domesticated for farm work. 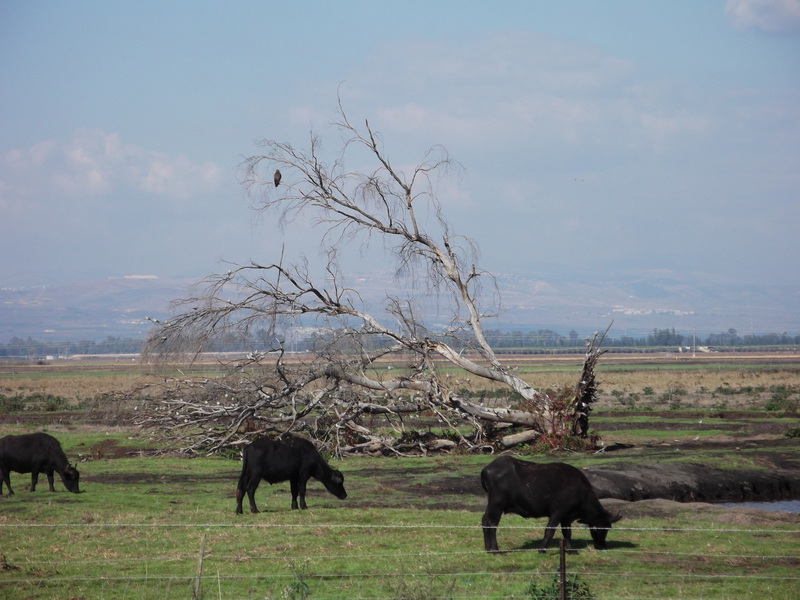 In the time of the British Mandate water buffalo lived freely in the Hula Valley marshes, today they have become slightly domesticated and live in the marsh but in designated areas. On the way home we drove up the Naftali Mountains. Midway up my father stopped the car and I snapped this photo of the Hula Valley from the open car window. The collection of buildings on the front left are some belonging to the Hula Lake/Agmon Lake nature preserve. The long white road is what we mainly walked on as we crossed the reserve. The dark strip and most of the green and brown just beyond the buildings belongs to the migrating cranes and of course, the lakes are Hula and Agmon. 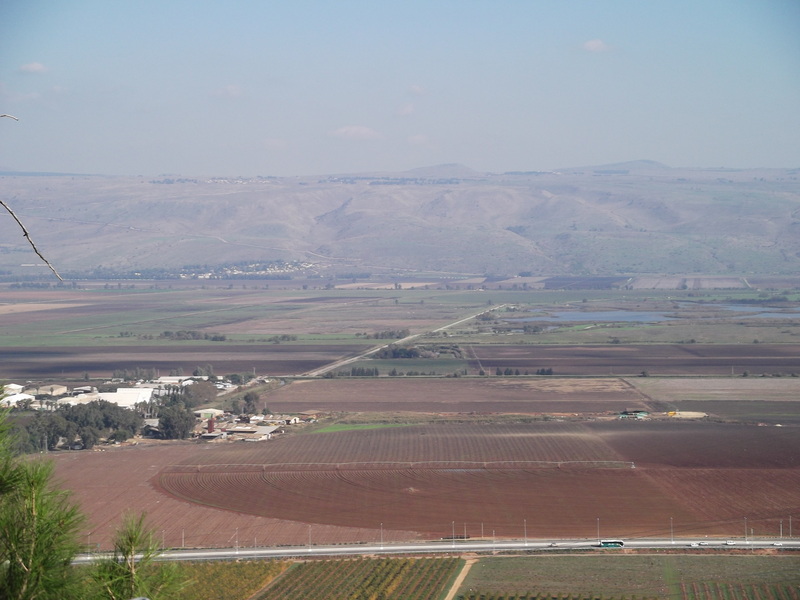 Beyond the lakes is the continuation of the Hula Valley proper and the mountains that form the lovely background are those of the Golan plateau. With all that we’ve seen and done in the Hula Valley, we have only just touched upon the full experience. One day I hope to go back and stay for a night tour to watch the jungle cats and the owls hunt. One day… maybe next year. Last week I was in Haifa on Army business. Once I finished with what I needed to do at the Army office I had plenty of time to explore Haifa. 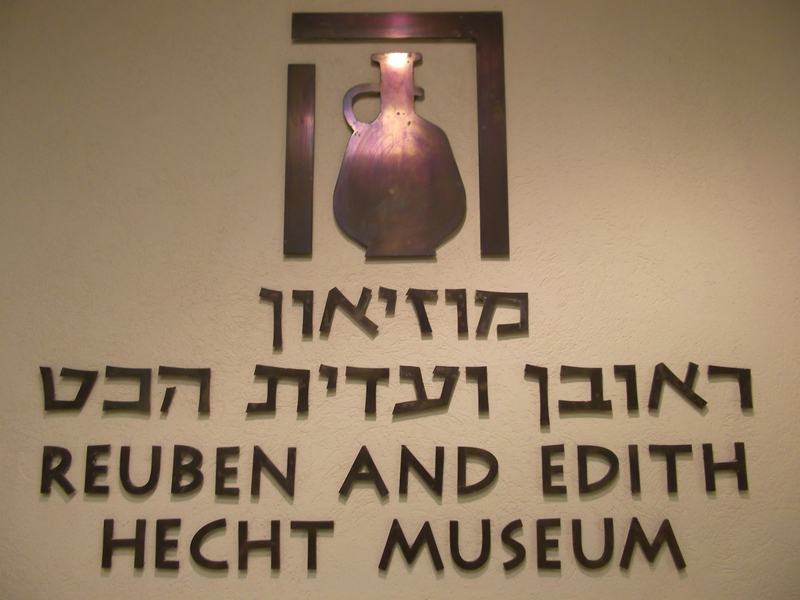 My mother suggested that I go to the free Hecht Museum in Haifa University. I agreed and hopped on a bus that slowly meandered its way up Mount Carmel and into the University. I got off the bus and called the museum for precise directions. I eventually found it. Once inside I browsed around finding several different sections. 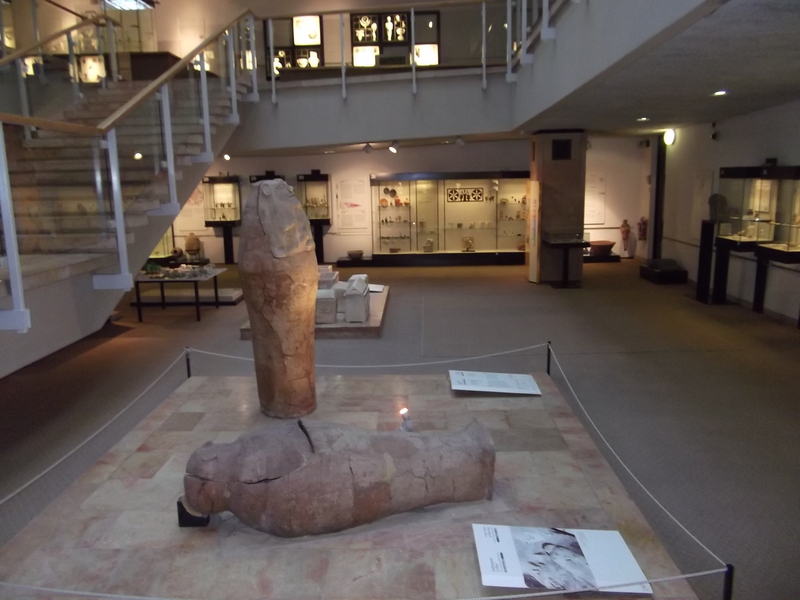 The first I visited was one of archaeological finds of the many groups that settled both within the Land of Israel and the surrounding area. 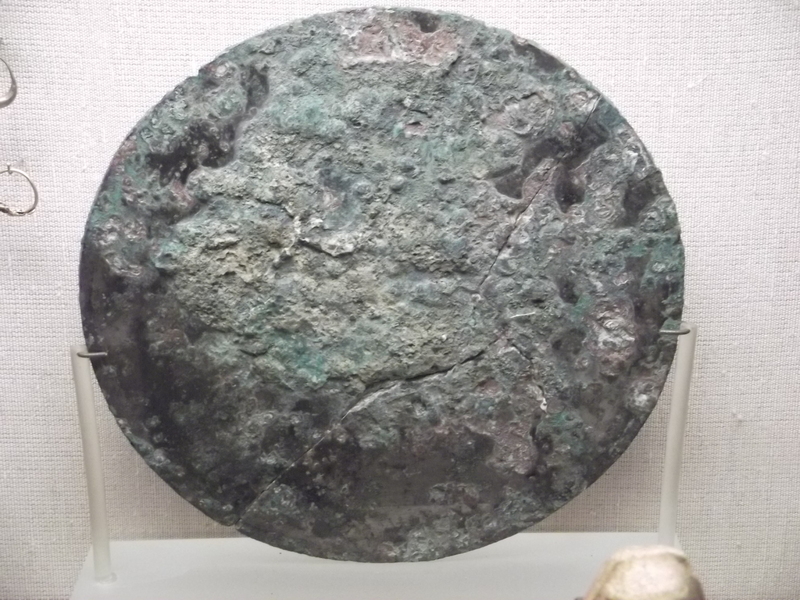 The Egyptians, the Phoenicians and the Canaanite tribes were heavily portrayed. 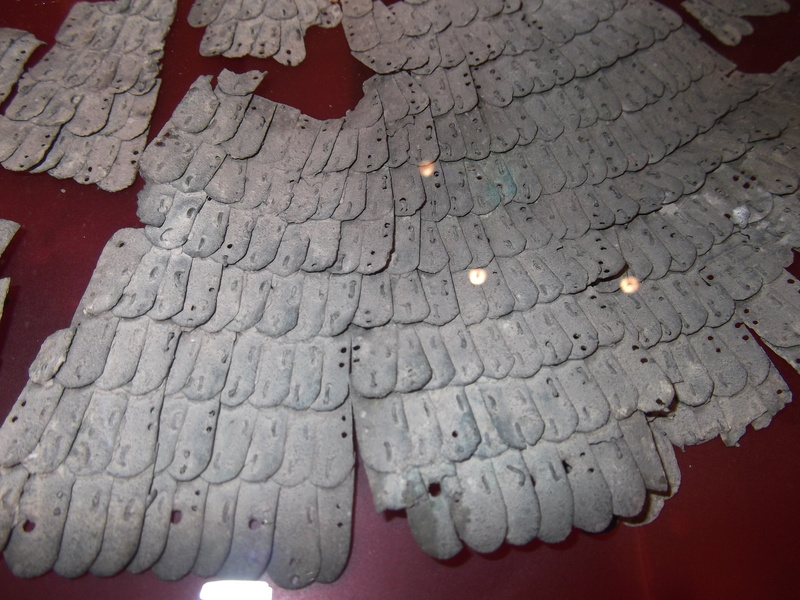 The museum also had extensive displays on hunting in “ancient” times and a site breakdown of a camp someone found on the banks of the Kinneret where a group of people hunted and fished and buried their dead. I was a little weirded out to see two coffins of dog skeletons in clay coffins… But at least it wasn’t a human on display. There was another section on the Conquest of the Galilee where the Jews were being forced into an area of Israel between modern-day Maalot (where I live) and just on the other side of the Kinneret. 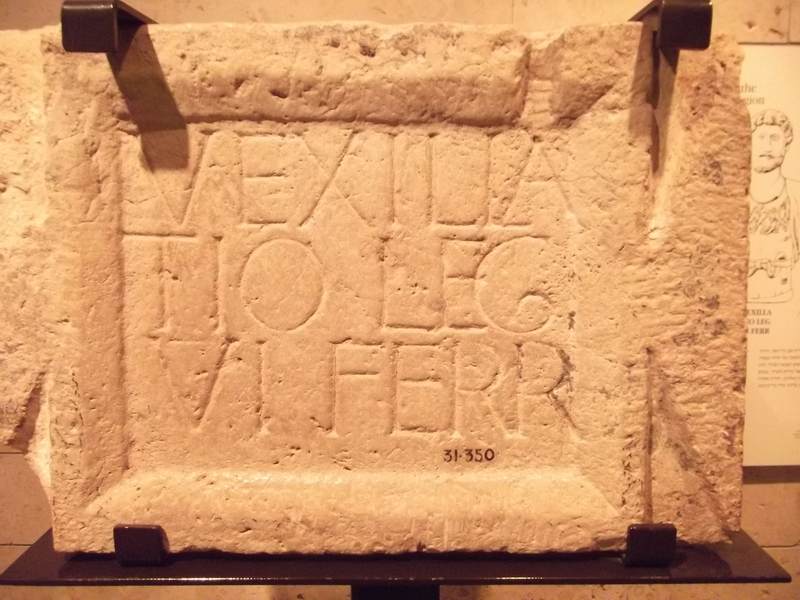 The Romans were slowly taking over the land irregardless of the bravery of Bar Kochba and his defence. Through a doorway I found another, slighty different archeaological display. 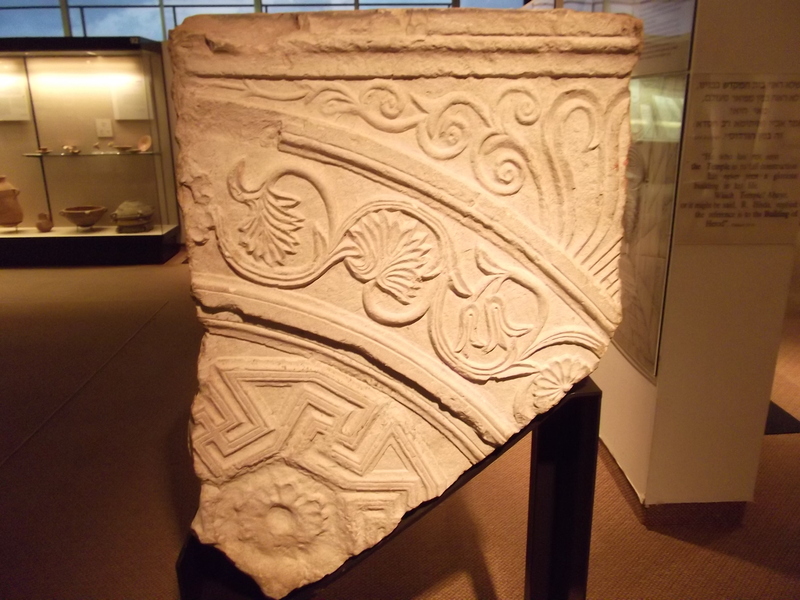 A Phoenician boat was found off the coast of Akko and resurfaced. 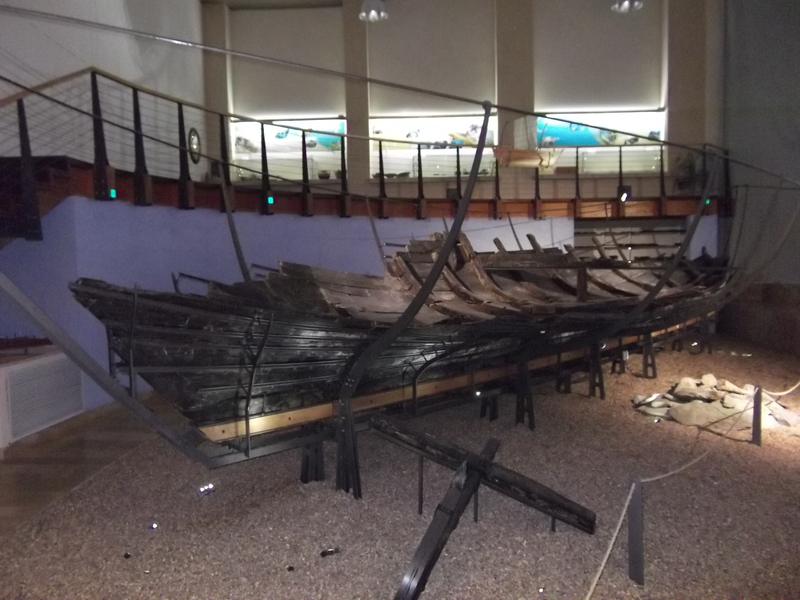 The wood was preserved by layers of sand and the ballast stones that spilled out of the cargo. Very carefully the ancient ship was restored and rebuilt to the best they were able and now it sits high up on Mount Carmel looking out north towards what was once Phoenicia. This time of year, the crisp autumn with the chilled nights and the cool yet sun-baked days, is an important time of year for anyone in the olive oil business. 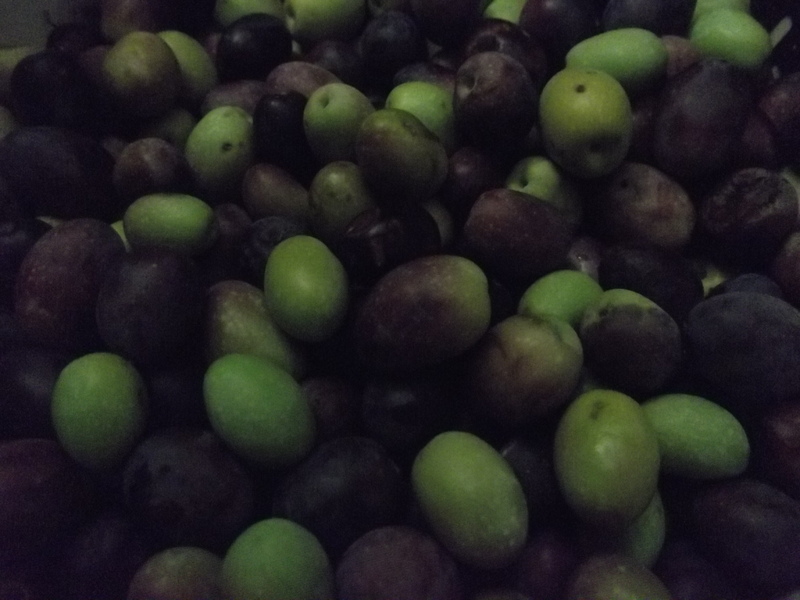 Last year I harvested a percentage of olives from the olive trees in our backyard. 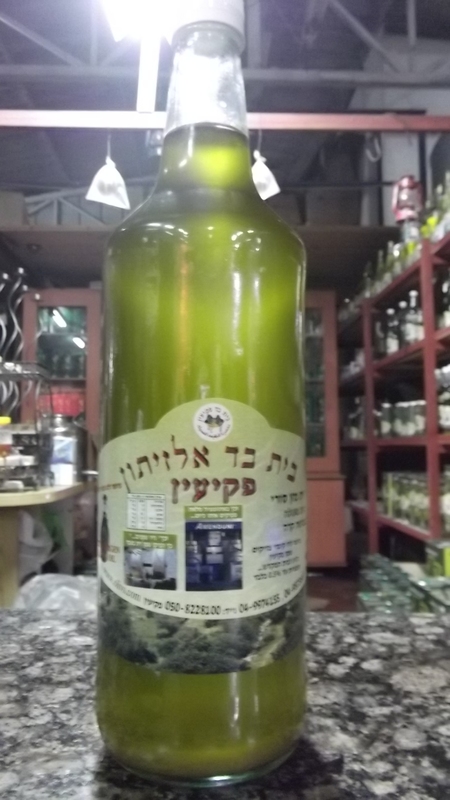 We had taken the olives to Peki’in, a nearby Druze village, and handed in our box of picked olives in return for some “homemade” olive oil pressed and bottled right there in the warehouse. This year I thought I’d step it up a bit and get even more olives. Here is the story. 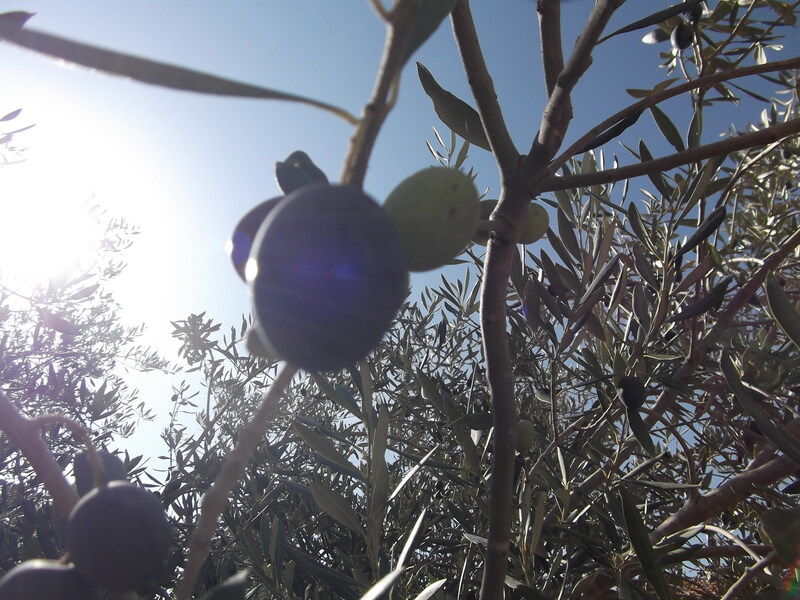 In our backyard there are two olive trees of different varieties. One is of few leaves and has large olives easy to collect and after a bit of internet research I think it is the Barnea olive cultivar or the Souri olive cultivar. The other has tons of leaves and has tiny olives that host all sorts of insects and spiders, the exact cultivar I have not found online. The classic way to harvest olives, and the way the Arabs do here, is by spreading a sheet or tarp out under the tree and then beating the branches with sticks, knocking the olives to the ground. Once the olives are on the ground the sheet is gathered up and the olives are bagged or put into some sort of container. I tried the beating method last year and was not pleased. Having to sort through all the leaves, twigs, nasty wrinkled olives and the hundreds of spiders to gather the crop of olives was not a happy experience so this year I went really hands-on. 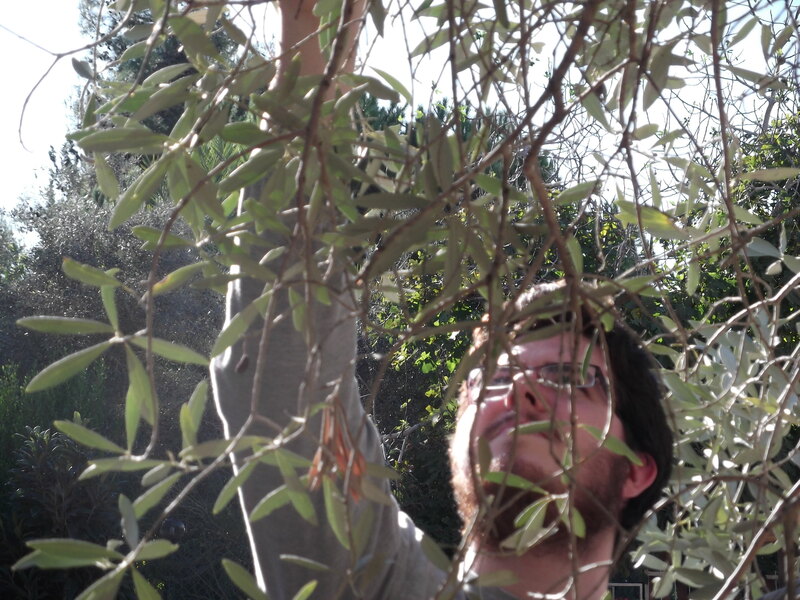 Choosing primarily the tree with the large olives I browsed through the branches hand-picking the juicy olives. It is an enjoyable task and one devoid of spider bites… Usually. As soon as I have relieved the chosen tree of its fruit, hopefully in a few days, I shall take them down to Peki’in’s Druze olive press to get them pressed and made into olive oil. That will be Part 2 of The Olive Harvest. Until then the olives high up on the treetop continue to bake in the sun even as I stand on the porch roof reaching out to pluck them and drop them into my bucket. Time to head outside and continue picking!